At the southern tip of Africa you will find one of the most varied and beautiful countries in the world, South Africa. Here you will find the whole world in one country. South Africa is the wealthiest country on the African continent while it has an awe-inspiring natural beauty. You will need to go far to find a country that offers you more than what South-Africa offers you! 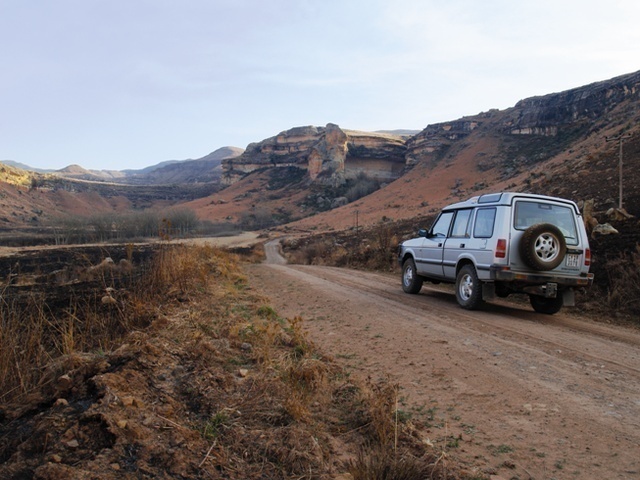 South Africa has an excellent infrastructure, ideal for self-drive, and it is recognised as a good value destination. You will be able to find many tourist books on South Africa, but the detailed fully routable Tracks4Africa GPS maps of South Africa will help you plan your trip and get you to the exact point where you want to be. As South Africa is such a vast country with so many things to see, it is almost impossible to experience it in just one trip. South Africa should be on your list of must-see countries. South Africa has a fabulous, sunny climate and its coastline is swept by the cool Atlantic Ocean around the Cape and the warmer Indian Ocean on the east. This country has much to offer, from breath-taking scenery to a wide variety of wildlife, an exquisite wine region, quaint little villages and big cosmopolitan cities and a vibrant mix of African culture and Western sophistication. With its world-class infrastructure, South Africa offers an assortment of accommodation - you will be able to find whatever type of accommodation you like at the price that suits your pocket. Accommodation varies from beautiful campsites to world-class hotels. In the north it borders Namibia, Botswana, Zimbabwe, Mozambique and Swaziland. South Africa wholly encloses the small, independent kingdom of Lesotho on the eastern side of the country. (August 2011). Travelling from Mozambique to South Africa, make sure if you are allowed to bring fresh produce across the border, this was a problem recently (Oct-11). Petrol costs are from R8.99 to R9.79 per litre. (25-Aug-11). Fuel prices: (Coastal): ZAR13.83 p/litre (95 Leaded). ZAR13.77 p/litre (93 Unleaded). ZAR13.83 p/litre (95 Unleaded). (Gauteng): ZAR14.01 p/litre (93 Leaded). ZAR14.01 p/litre (93 Unleaded). ZAR14.24 p/litre (95 Unleaded). (07-May-14). Diesel prices: (Coastal): ZAR12.75 p/litre. (Gauteng): ZAR13.05 p/litre. (07-May-14). Cell networks in South Africa: there are basically 4 networks: Vodacom, MTN, CellC and 8ta. Vodacom and MTN being the biggest and therefore have the best coverage. Prepaid SIM cards can be purchased at basically any retail shop, or directly from for example a Vodacom or MTN retail shop, which you will find almost in every shopping mall. Foreigners will be asked for a Passport and proof of address when purchasing a SIM card. Travellers have reported using their camping invoice as proof of address or a hotel booking. If you are flying into South Africa, travellers are however advised to purchase a prepaid SIM card at the airport - as they are equipped and understand the tourist market. Depending on your needs you are advised to purchase a data package as well, of at least 2GB, which will cost approx ZAR250 (Nov-14). This is valid for 60 days and will allow you to use Whatsapp, Internet, email and Skype. For Voice calls, it's a good idea to distribute your SIM number on arrival to family and friends abroad, and let them call you. In South Africa you don't pay for incoming calls to your phone, the caller pays. You can for example purchase a ZAR500 prepaid SIM for voice calls, which should be rechargeable (ie. you can purchase more airtime on it as you go on), which you can recharge or 'up' it at most fuel stations, ATM's and retail stores. South Africa requires yellow fever vaccination certificates for travellers entering from a host of countries like: Angola, Argentina, Benin, Bolivia, Brazil, Congo, Kenya, Zambia, Nigeria etc. See the Yellow fever policy document on the T4A website for this POI (Sep-11). Info on extension visas: the rule is that the extension is noted in your passport. Either stamped in or a sticker is added. (May-14). You can also consider WIFI for data as well. Two major players in South Africa are 'Always On' and 'G-Connect'. Both have multiple international roaming agreements, so you may be able to pick up WIFI in major shopping malls. Your ISP or cell provider may have roaming agreements with these companies, enabling you to roam without silly charges on WIFI. Note that in South Africa WIFI is available in major cities, but also not always, and even less available in rural areas. Keep your eyes open for free WIFI at restaurants, hotels, shops and major shopping malls. (Dec-14).